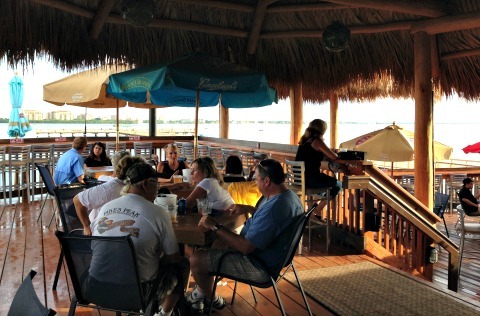 The Boathouse serves up the freshest seafood with waterfront dining at Cape Coral's Yacht Club Beach! Located where KC's Riverstop used to be, this tiki bar and grill has expanded the space and changed the menu. Boathouse Tiki Bar and Grill has the same owners as the popular Ford's Garage. I went with a group of friends one evening just as the rain stopped. 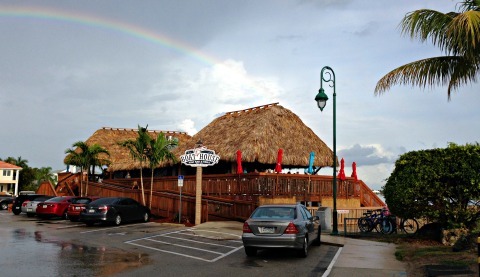 There was a beautiful rainbow ...... and it looked like it ended right at the Boat House! I would say it's true that there's treasure at the end of a rainbow, because we had such a good time. The food was delicious, you can't beat the views, and the servers were friendly and accommodating. All dining is outdoors with high tops, regular tables and bar seating. Some of the seating is under the cover of 2 huge tiki huts and some of it is out in the open at tables that have umbrellas. There are 2 bars, one at either end of the restaurant. 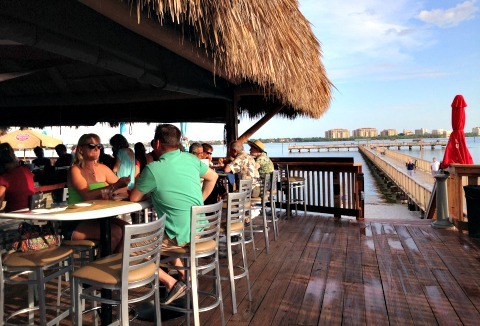 No matter where you sit though, you'll love the water views of the Caloosahatchee River. You'll find appetizers, soups, salads, seafood baskets, sandwiches, burgers, and paninis. Prices for entrees range from $8.95-$19.95. 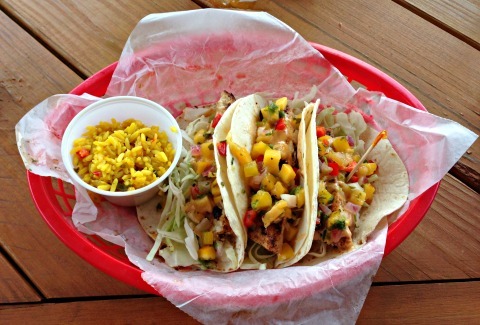 I got the Mahi Mahi Tacos, served in a basket that I thought was just the right portion size. Members of my group gave thumbs up to the Pulled Pork, Caribbean Chicken Salad, and Mahi Mahi Sandwich. You can also catch your own fish from the nearby pier ........ and Boathouse will cook it for you! They have a place to gas up your boat and to dock on the side of the restaurant if you're out fishing or boating. The bar serves signature and classic cocktails; draft, canned, and seasonal craft beers; red and white wines. Two of their desserts looked intriguing .......... Key Lime Pie on a Stick and Orange Blossom Pie. 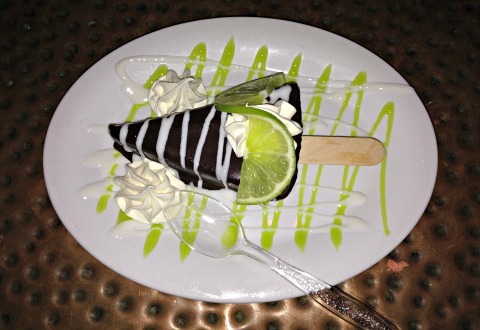 I tried the Key Lime Pie and it was pretty amazing! Go for breakfast, they are open daily from 8AM-10PM. Plans are in the works to open a snack cart right on the beach. Park for free at the beach or pay a little extra for valet parking close to the restaurant. 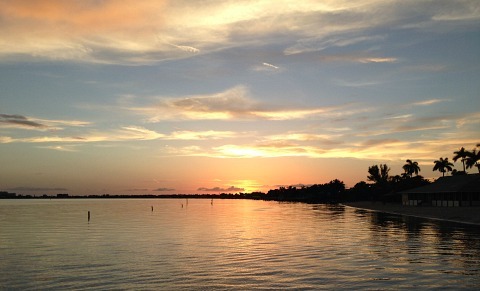 By the way, you'll love the sunsets!